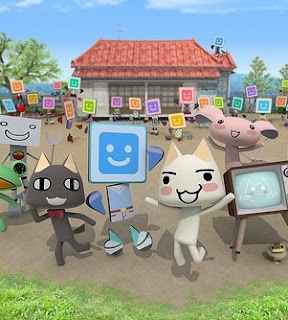 PlayStation Blog US unveils the support for Friend Network, a big social networking app in Japan, and Imaginstruments, a one-of-a-kind music application. "Friend Network, already a huge hit in Japan and other territories in Asia, is a unique social application for PS Vita that allows you to interact with friends and meet new people in a whole new way. Guided by PlayStation mascot mainstay Toro, the app lets PS Vita owners visualize their network of friends and gaming buddies through the use of avatars in a colorful environment, and through growing their friends list, players can grow their own unique town space within Friend Network. With the ultimate goal of reaching 100 friends within Friend Network, lobbies are available where players can meet new friends and exchange virtual “business cards.” These cards contain information that players can use to get to know others within Friend Network. Additionally, Friend Network comes fully integrated with your favorite social networks. Players can connect to their Twitter and Facebook accounts to see which friends are also participating in Friend Network and add them immediately. Players can also request tasks from their friends, like planting crops in their garden, to expand their town yard space. As you can see, Friend Network is a great way to maintain and grow your PSN friends list!" "Players can create whole songs from scratch and save them to on PS Vita memory cards. Using three distinct song creation tools, players can compose a virtually endless amount of unique music. Players can edit drum tracks in the “Passive” mode to create complex rhythms for their tracks, then switch over to “Active” mode to create melodies using instruments like the guitar or violin. The interface has been laid out to allow non-musicians an easy point of entry to create and craft songs without the need of a Ph.D in musical composition. We’ve also included a Sequencer mode, that takes parts of your drum and rhythm sequences to help you construct the song, and then record it. 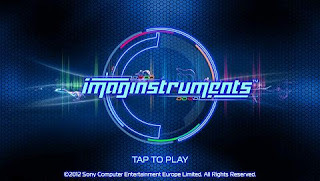 There are plenty of interesting ways Imaginstruments can enable you to begin crafting your very own songs on the PS Vita, and we recommend you try it out for yourself!" Expected release date for these applications for North America will be this Spring. Let us know what you think about this content coming to the Playstation Vita in the comments below! !